DO NOT PAY RESORT PRICES! This condominium is classified as an “Alpine w/whirlpool” by Caribou Highlands, but is offered by the owners and is priced to rent. The owners urge you to compare the prices offered by Caribou Highlands at www.caribouhighlands.com before booking your vacation. Details. 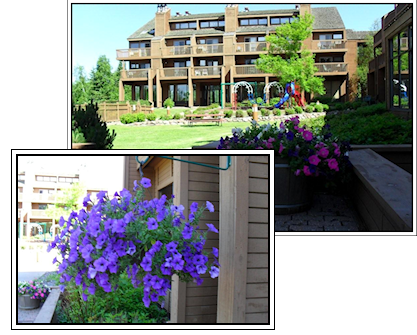 The condominium may be used as a summer getaway for you and your spouse or as a ski condo for you and the family. The condo sleeps four comfortably and has two full bathrooms, including a Jacuzzi tub in the lofted bedroom. On the main floor there is a full kitchen, dining room, fireplace, and balcony with a beautiful view of Moose Mountain. Renters will have access to all amenities as Caribou Highlands. Perfect location for activities. There is no better location to enjoy the Lutsen area (hot link this to the Lutsen area page) and the North Shore. You are within walking distance or a short drive from an endless assortment of activities: hiking, downhill skiing, tennis, cross country skiing, trail running, golfing or relaxing near the indoor or outdoor pools. Perfect location for food and drink. For those looking for great food and drink, the condominium puts you near several fine restaurants and taverns, including Papa Charlie’, a restaurant and bar located a stone’s throw away on Lutsen Mountain.